Well, I must admit that the inspiration photos had me quite stumped for ideas this month! I finally decided to focus on the blues in all the photos, especially the Phthlo-type blues, which can be seen in the middle to bottom portion of my focal panel. October is Pastor appreciation month, so this will be going to our husband and wife pastor team, and a thank you for all that they do. This one was done using Daniel Smith watercolours, and Year of Psalms:April, which was heat embossed in white. I made a second one, using Distress Oxide inks. Why make one, when you can make two?? I'm sure they will be appreciated. Very pretty. Kathryn, a lot of people said they were stumped (me included) with the inspiration photo. But your two watercolor cards are beautiful. I like that you used a cover plate for your background. You were certainly not alone with trying to come up with something for this challenge but you have succeeded admirably. Both cards are wonderful and I am sure your pastor will appreciate your thoughtfulness. Cheers. 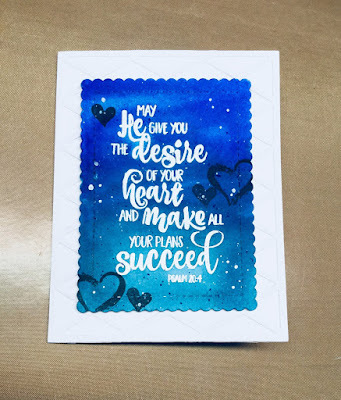 Very nice job using the blues from the inspiration...they make gorgeous BGs for your psalms! Guess I should invest in one(s) for the upcoming holidays!? 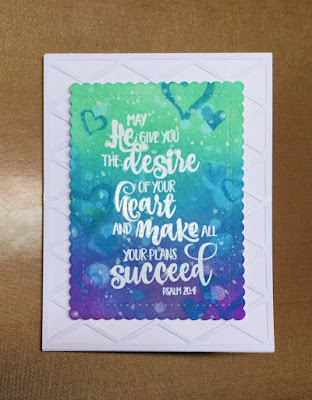 Gorgeous cards, Kathryn! I especially love the first, watercoloured, one. The blues are incredible in it! Ooooh these are so beautiful! Love your background colors and the cover plates! The big bold sentiments are perfect! WOW! These two card are fab-U-lous, Kathryn! The backgrounds are beautifully done! Congratulations to you on the win! Cheers. Yay, I’m able to comment now...thanks to you and Diana. 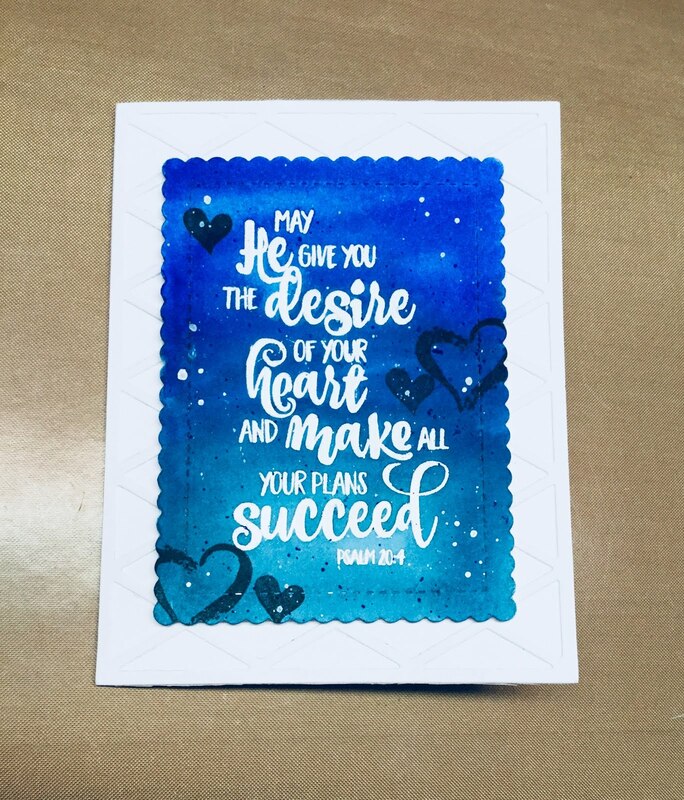 Kathryn, these are standouts with the beautiful shades of blue, white cover plate background and white embossed Psalm. Congrats also on your win! I'm a Christian, a retired teacher, a wife, a mother, a grandmother to 2 girls, and I love to craft!